technical backup and to support them with technical development. We stand behind our brand. More information about our varied product lines can be found below. Randolph Products acquired Eastern Chem-Lac Corporation in 2010. 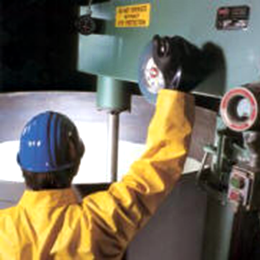 ECL, the Eastern Chem-Lac acronym, is a widely recognized symbol for quality industrial coatings since 1939. Randolph Products’ advanced technology and extensive experience enables us to meet the specific needs of companies in widely divergent industries. 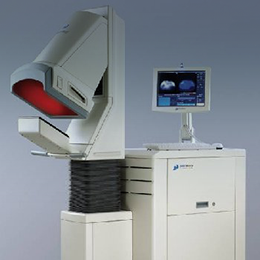 Manufacturing industries in the electronic, medical and general finishing fields trust Randolph Products for our ability to meet deadlines and to provide them with systems that meet demanding performance specifications. Our technical experts are innovative formulators who incorporate the latest advancements in coatings technology to our products while ensuring strict quality standards. We are proud to not only supply quality materials but to also provide our customers with technical backup and to support them with technical development. We stand behind our brand. Our UL Listed Isolex conductive coating provides a very effective shield from EMI (electromagnetic interference) and RFI (radio frequency interference) for business machines and other electronic devices. Our conductive coating delivers superior performance and lower use cost than many of our competitors’ alternative EMC (electromagnetic compatibility) conductive coatings. We are a team of problem solvers. 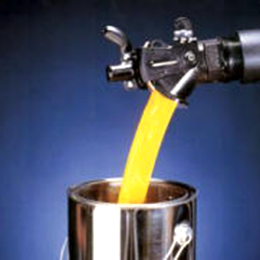 Our team of chemists and formulators engineer coatings for the world’s leading general industrial manufacturers. We understand that every coating is unique and we are committed to providing coatings customized to your specific application and finish. Our R&D personnel will offer you professional advice and find an optimal coating solution based on your needs. Performance and protection matched with a perfect finish – Randolph Products offers innovative solutions that you can trust. Please contact us today for a quote!